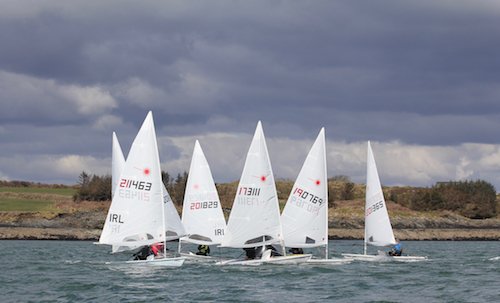 Baltimore Sailing Club played host again this Easter to the first Provincial event on the Irish Laser calendar. 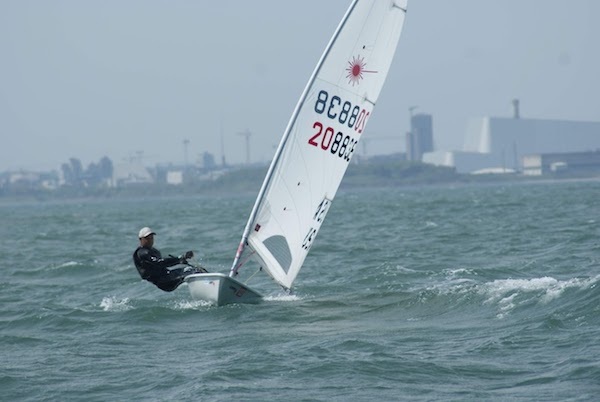 The Club welcomed 114 sailors and their families to the village to compete in the CH Marine Laser Munsters. 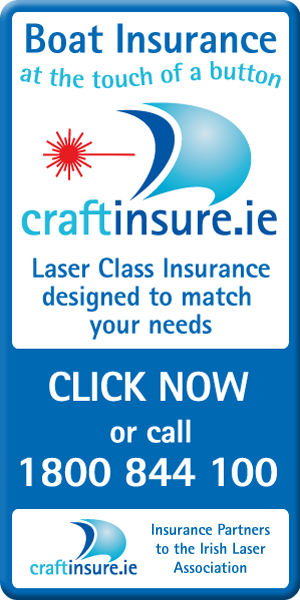 Registration was held in the Clubhouse on Friday night with sailors receiving a gift from sponsor Craftinsure and t-shirts from the Laser Association. Registration opened again bright and early on Saturday morning and a few additional faces appeared that were keen to race. Event sponsor CH Marine had a van with laser essentials available from Friday afternoon and this was much appreciated by the sailors who needed their services!. 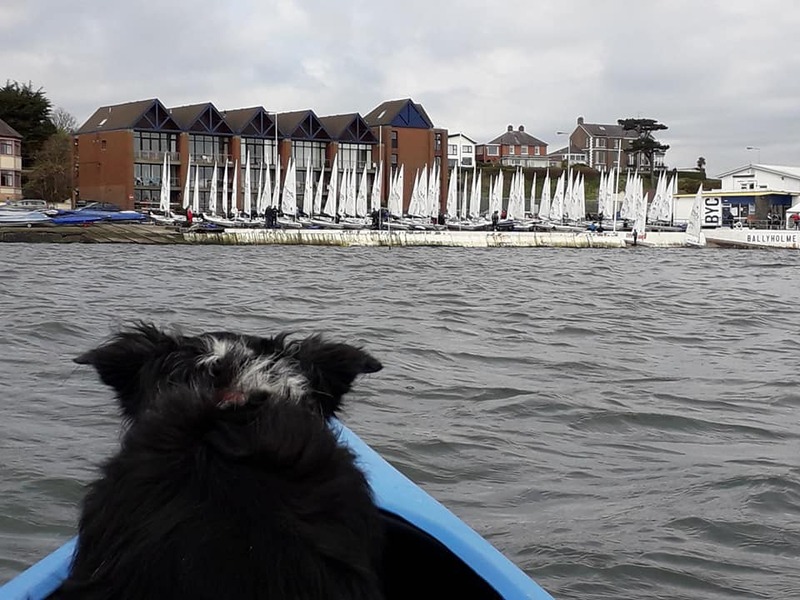 The PRO David O’Brien briefed the sailors and advised that given the forecast for Sunday he would do his best to get 4 races completed for all fleets on Saturday. As it transpired the forecast was correct and there was no sailing on Sunday. Launching on Saturday got underway at low water so huge credit to the team of volunteers directed by John McCarthy who hauled and organised all the trolleys. With a light north westerly breeze racing started in sunshine from under the Beacon. The low water and northerly wind direction made the Lousy Rocks a hazard to be considered by all competitors. 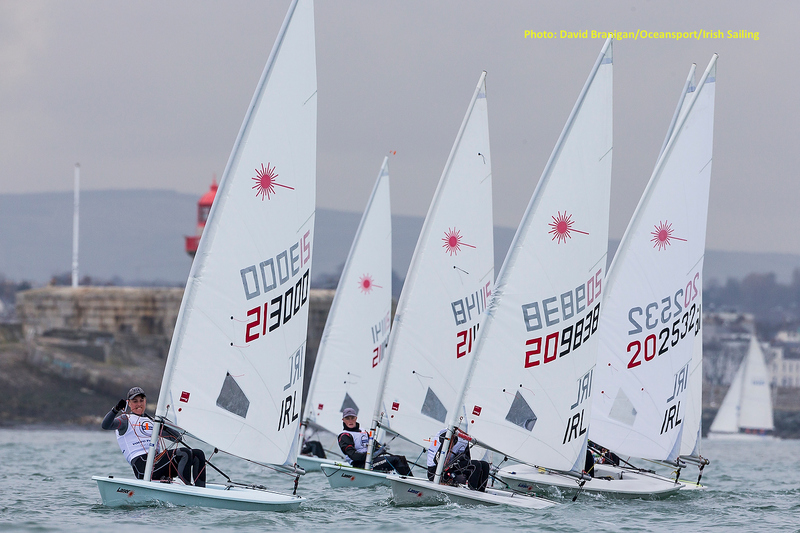 The standard fleet were the first away with Ewan McMahon, Howth Yacht Club taking the first bullet of the day, the radial fleet was led by Thomas Chaix from Tralee Bay Sailing Club and Alana Coakley (Royal St George YC) a newcomer to the laser class took the first 4.7 race win. Race Two was sailed in similar conditions to the first but sailors were settling back into race mode and Paul McMahon won in the standards, Jack Fahy (Royal St George YC/Royal Cork YC/Lough Derg YC) took the Radial fleet win and Atlee Kohl (Royal Cork YC/St Croix YC) caught club mate Jonathan O’Shaughnessy to secure his first bullet of the regatta. 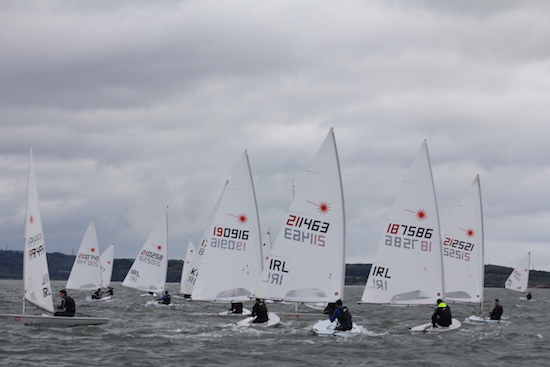 Ewan McMahon showed winning form in race 3 and 4 in the standard fleet taking two more bullets to secure the overall title ahead of Johnny Durcan (Royal Cork YC/BSC) and Paul McMahon (Howth YC) in third. As was expected there were a large number of Masters in attendance with 24 competing in the standard fleet and 11 in the radial fleet. First master in the standards was Roger O’Gorman followed by Daragh Kelleher (Skerries SC) on 14 nett points each and third master was Ronan Kenneally from Monkstown Bay Sailing Club. Tom Higgins (Royal St George YC) took the win in Radials Race 3 with Jack Fahy winning the fourth. 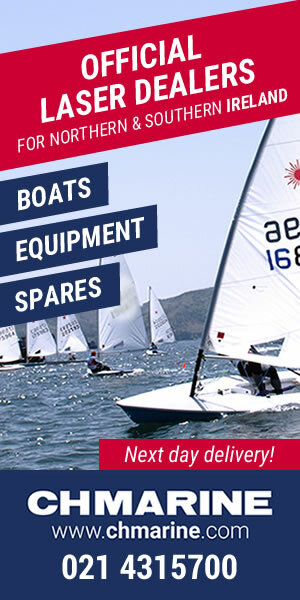 It was great to see new faces to the class enjoying the Spring sailing conditions in Baltimore Harbour. Geoff Power (Waterford Harbour SC) secured 4th overall on his first outing but Royal St George club mates of Jack Fahy, Tom Higgins and Peter Fagan made a clean sweep with first, second and third overall. 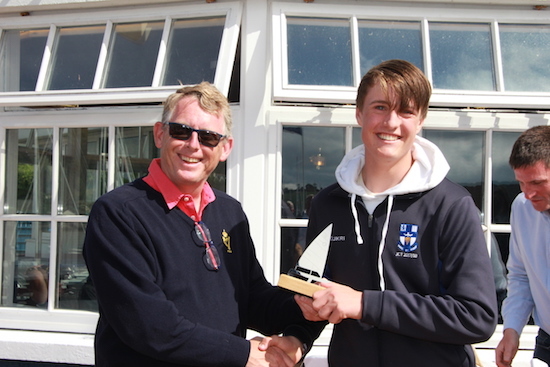 The First Master was Thomas Chaix in 5th overall and Clare Gorman (National YC) took the First Lady prize in 6th. 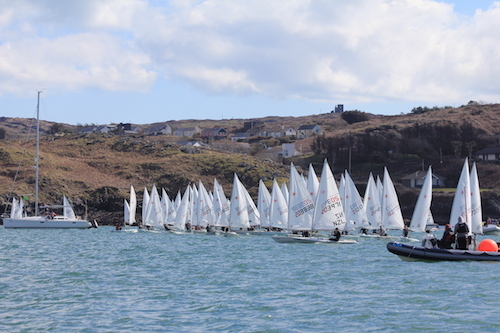 It was the first time a silver fleet was introduced to the Championships and in the radials Darrell Reamsbottom (Howth YC) took third, James McCann (Royal Cork YC) took second and Maeve Leonard (Royal Cork YC/Baltimore SC) took first. 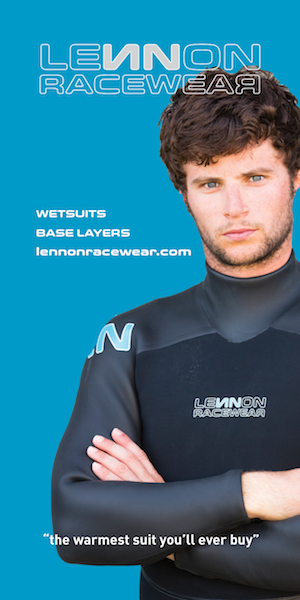 The wind moved to the left throughout the day and the fourth race was conducted in a south westerly breeze. 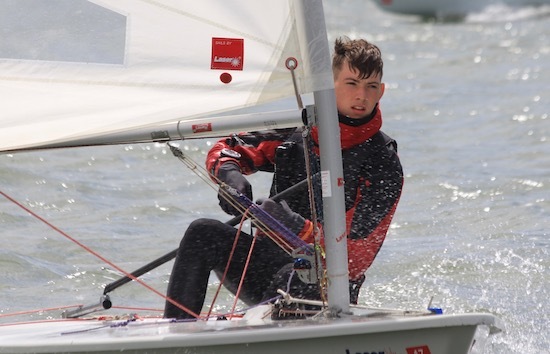 The wind stayed light all day and the 4.7 competitors enjoyed the conditions with Atlee Kohl finding his feet after a rocky start securing a first and second leaving him as the winner of the fleet with a 4 point margin. 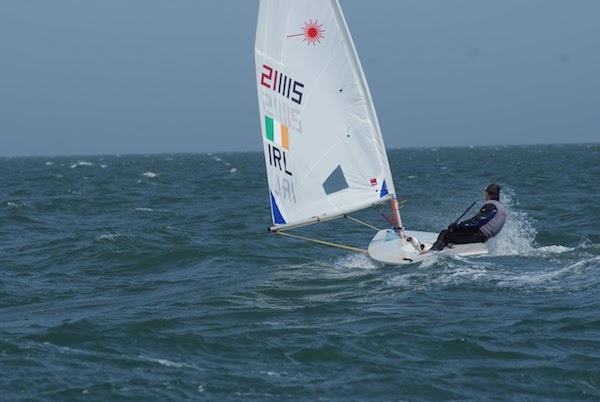 Jack O’Sullivan (Royal Cork YC/Kinsale YC) was second and Alana Coakley finished her day with a win securing third overall/first lady beating out Keelin Greene (Hayling Island SC/Baltimore SC) who were on joint points. 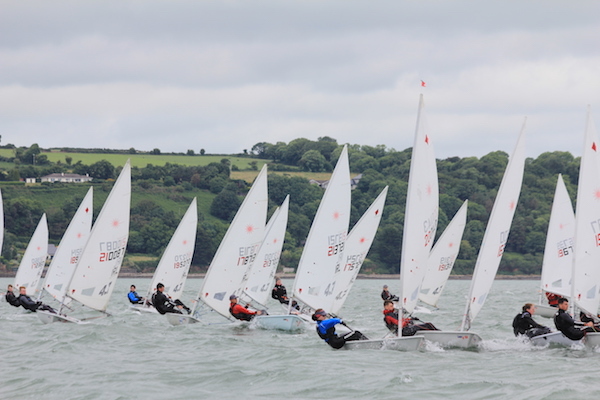 Prizes were awarded in Silver Fleet with James Moran (Mayo Sailing Club) taking third, Natasha Hemeryck (National YC) taking second and Dawson Kohl making it a “Kohl double” in the 4.7 fleet securing first. Full results can be found here. A special thanks to Baltimore Sailing Club for launching the 50ft “Inishceim” and “Kingfisher” to act as Committee and Finish boat respectively. No easy feat at the end of March!. David O’Brien was ably assisted by fellow Race Officer Richard Leonard and a team from the Club who got the four races completed as they had promised at the beginning of the day. The finish boat team was led by Tom Hegarty and results ashore were kept in check by Charlie Bolger. Safety Officer Sheila O’Sullivan ensured the smooth running of the event afloat and Mary O’Neill was a stalwart in her role in the Clubhouse. None of these events happen without a lot of preparation and organisation locally – thank you to all the team in Baltimore for making all the sailors and their families so welcome. 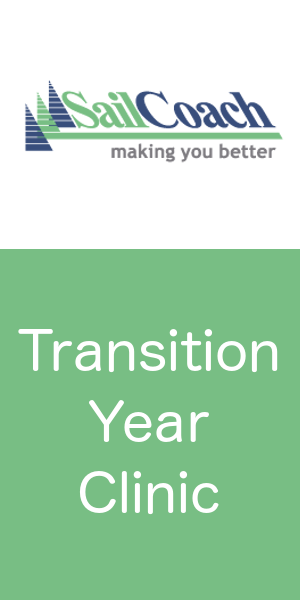 As President Aidan Staunton said in his closing address “we look forward to returning next year”. Niall O’Neill, Commodore thanked the sponsors CH Marine, Craftinsure and all the volunteers at the prize giving. 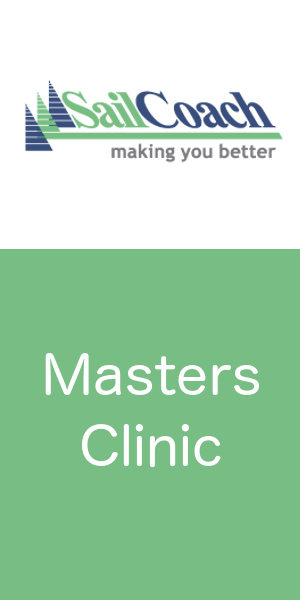 Photos can be found here.